So I laid out almost (except 3) all my squares. 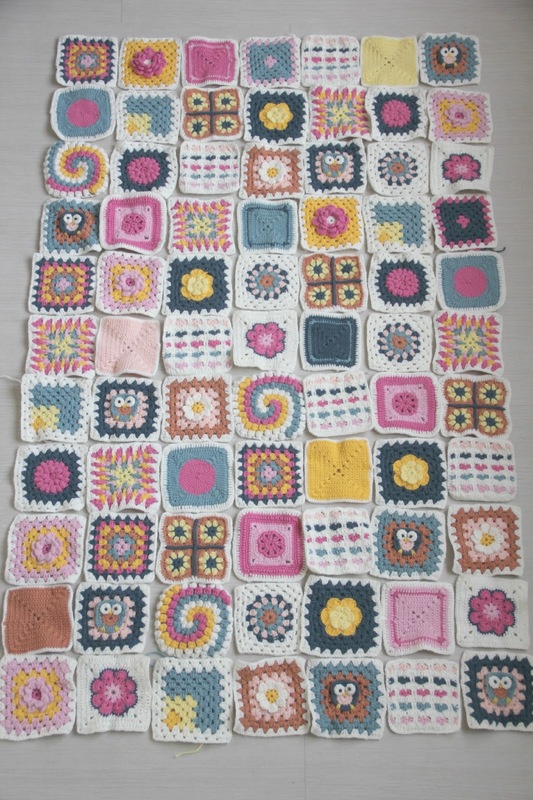 we still need to make some squares. But it got me thinking about the size. I need 130 squares and my squares are 12 by 12 cm (5 by 5 inches). This means we will be ready before summer. and keep warm while sitting outside. with your new blanket and a brand new crochet project. 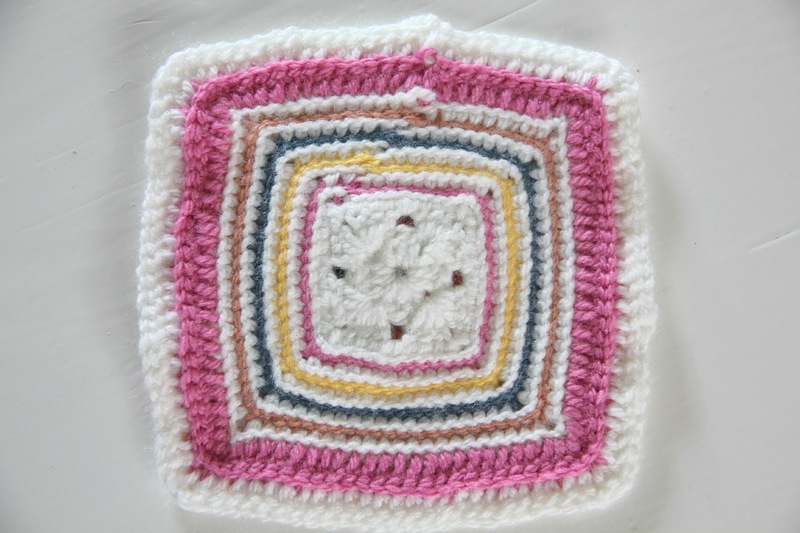 you can always make more squares. And if your squares are bigger then mine your blanket will be bigger off course. we have 11 weeks to go. So above the new pattern. 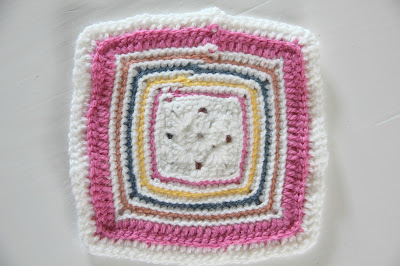 It`s called Rainbow outlines granny square by Amy Solovay. I can be very impatient :-). Follow the pattern until round 11.
dc in every stitch, in the corners 1 dc, 1 ch, 1dc, 1ch, 1 dc. Round 13 change color repeat round 12. What a beautiful project! Love the colours!